Film has the unique gift of giving its viewers the chance to better understand the lives of people from around the world and widening their perspectives. 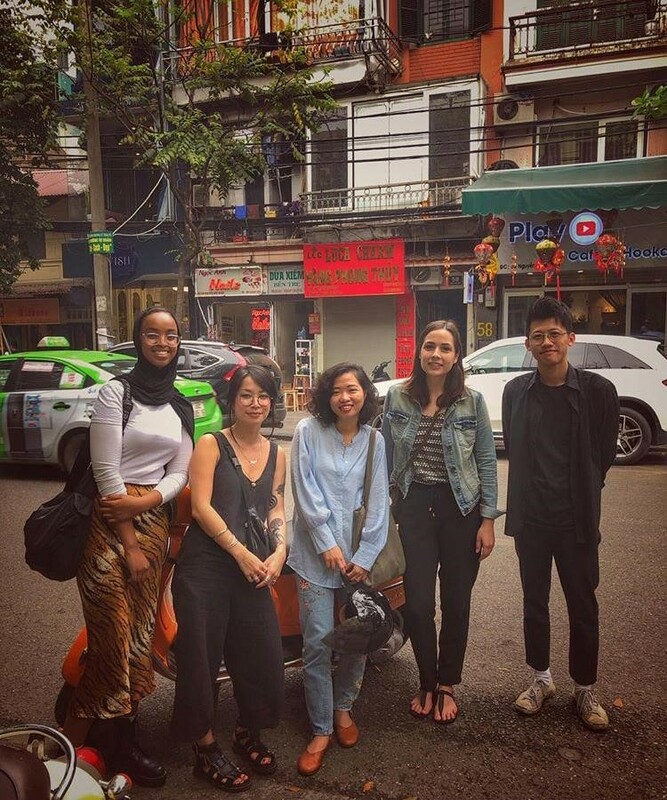 Having just returned from her work placement at Hanoi’s DOCLAB, our FEDS alumna Umulkhayr Mohamed writes about her experience and what film programmers can do to help rectify today’s cultural blind spots. Film has framed my world view for as long as I can remember, by allowing it to include a deeper understanding of the lives of people from other parts of the world, than it ever would have been possible for me to witness otherwise. Having focused mainly on British film in my first year of working in film exhibition, project coordinating a national season of British animation, I knew that it would be worthwhile for me to get a greater understanding of how my own ‘western(ized) gaze’ is informing how I engage with cinema that depicts other parts of the world. In particular I wanted to get a better understanding of parts of the world that I don’t have any personal connection with, as I knew that could highlight and counterbalance problematic portrayals when I’m confronted with them. When I found out that British Council Film and the Independent Cinema Office were offering support for an international film exhibition work placement, I knew I wanted to apply to visit a part of the world that I had never seen before: Asia. With other Asian countries such as South Korea and Japan perhaps seeming like more obvious destinations as they’ve had more success garnering international attention for their film industry, Vietnam and its cinema has been a cultural blind spot of mine, the few films I have seen showing the country through a lens that romanticises and perpetuates historical power dynamics. As someone who is interested in both curating and making films, I’ve always felt I’ve had to approach them separately, despite this being quite common in artist-led visual arts. 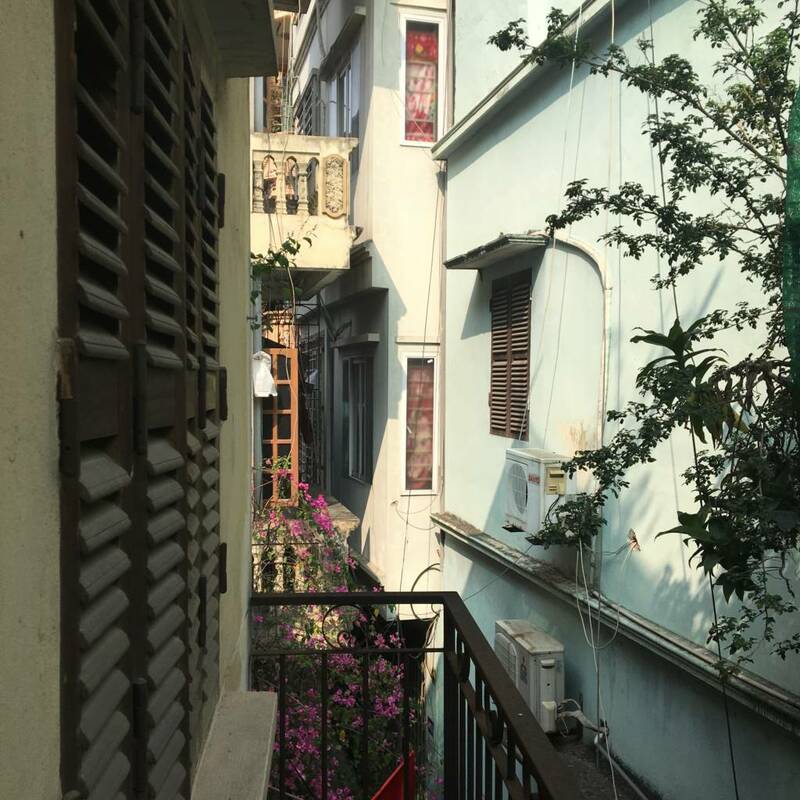 Wanting to see how I could combine these two identities, I reached out to Hanoi DOCLAB, a practitioner-led film collective that curates film screenings of artist moving image works and experimental documentaries and trains filmmakers and artists. I was also particularly drawn to them as they didn’t identify as a gallery or art museum despite specialising in experimental programming, thus providing an alternative, more grassroots approach to the dissemination of experimental film that I felt would be valuable to learn from. I arrived in Hanoi during a moment of flux for DOCLAB, with them having recently moved out of their previous home at the Goethe Institute into a new location in a more residential neighbourhood and coming up to their ten year anniversary, reflecting on their role within their local film community. From the beginning of my placement it was clear to me that DOCLAB had created a space where capital ‘C’ulture intersects with lowercase ‘c’ulture in a way that isn’t always seamless – but important if we are to meet people where they are and offer them a chance to enjoy film without any of the formalities that leave so many of them feeling alienated. During my stay I was able to get a sense of the different energy that a more traditional cinema setting gives to the experience of viewing artist films, something that we talked in length about with audience members after the first of my screenings, in the discussion that followed. We reached the consensus that although it may be a challenging experience it is ultimately a really valuable one, especially if we as programmers and curators are able to suitably contextualise these screenings with the reliability of the concepts being explored, which in our case were truth and gender. Who knows you may end up with artist film screenings packed with young and older people who aren’t all artists or art students themselves, isn’t that what we are ultimately striving towards? I am grateful for the level of freedom and support I was given, as well as the generally more relaxed pace of life which provided me with the space to fully take in all of the films that I needed to programme for DOCLAB’s season of Artists’ Film International (AFI) films, as well as to take responsibility for writing the programme copy and marketing the screenings. I also got the valuable chance to engage with DOCLAB’s wider programme. I attended a screening of Queer Shorts created by queer Vietnamese filmmakers and got to learn so much about Hanoi’s queer scene through the films. The post-screening panel discussion was also such an illuminating experience, with much of the conversation delving into what it means to be queer and Vietnamese, finding a sense of balance between these two cultures as there was an acknowledgement that much of what can be identified as queer culture has been notably influenced by American culture. I left that screening wondering how we as film programmers can better connect the conversations we are creating temporary spaces for with the wider global context these conversations exist within. Not bad for some short films! Getting access to one of the Vietnam Film Institute’s (VFI) extensive archive vaults and learning about the archives from the staff was another highlight of my trip. It also gave me the opportunity to learn about the kinds of film they have helped preserve and the VFI’s digitisation project which they are hoping will help ease access to these rarely seen films. I couldn’t, however, help but leave that visit having raised more questions than I had answered in the sense that why is a country who has been able to preserve its film history so extensively become a cultural blind spot? But perhaps that isn’t the right question to be asking, or at least not the most urgent one, when we all as film programmes have the ability to rectify this without much difficulty, as long as we remember that so much of the answer is in meeting people where they are, rather than waiting for them to come to you. I should say that not having a chance to learn Vietnamese beyond a few words/short phrases before visiting, the positioning of the English language as an ‘universal language’ was not lost on me. The fact that I wasn’t able to speak the language was never taken as an insult nor linked to my intelligence and was instead accommodated for by every Vietnamese person I interacted with the best they could, something I cannot say I saw much of growing up in the UK with immigrant parents. Thanks to my time in Vietnam, I understand now with more clarity how our own world views have been shaped by what we have been exposed to. There is no such thing as a neutral perspective, and your views don’t have to inform your work in a negative way. Instead, why not endeavour to articulate your personal biases through your programming choices in a way that gives space for us all to reconsider how we are positioned in relation to one another. Umulkhayr Mohamed took part in our FEDS (Film Exhibition, Distribution and Sales) trainee scheme in 2018 and worked as Anim18 Project Coordinator at Chapter Arts Centre. Trained as an Arts Workshop Facilitator, Umulkhayr is interested in championing access to the arts for people from marginalised communities. Read her previous ICO blog piece on ‘Decolonising the Conversation around Diversity‘. 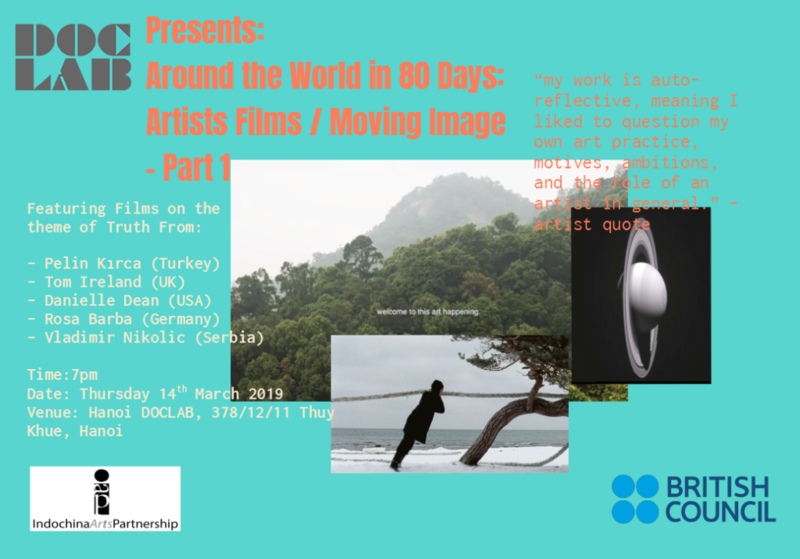 With many thanks to British Council Film for helping us support our FEDS alumni to develop their skills and exhibition careers internationally.